ICEP TEFL Training is located in Puerto Vallarta, Mexico. Our institution offers you the opportunity to participate in one of the most vanguard TEFL Courses in Mexico. Our staff counts with over a decade of experience in the study-travel industry and transfers it all onto our trainees. At ICEP TEFL you will have the opportunity to not only get certified to teach English as a foreign language but will obtain the technological, practical, and academic arsenal required to make your venture into travelling the world teaching English an experience that will change your life forever. Our vast knowledge and experience on teaching English as a Foreign Language enables us to offer our TEFL Trainees the best training experience possible. The four week training program offered by our master level TEFL instructors is 100% practical, contemporary, and will prepare you not only for what is currently going on in EFL classrooms all over the world but also give you the insight required on the teaching methodologies and technologies of tomorrow. The immense employer network that our staff and institution has built over the past decade guarantees you a job not only in our paradise location and anywhere in Mexico but worldwide. ICEP TEFL Training has taken the job placement experience to a new level by providing trainees not only with direct employment contacts and interview arrangements like a few other TEFL providers do by creating a digital platform for graduates to be able to market themselves with employers worldwide through an impactful and easy to use platform. While the course is intensive, you will still have time to discover pristine and relaxing beaches, dine in world class restaurants offering a wide variety of ethnic cuisine, immerse yourself in Mexican culture, and experience the latest in eco-tourism and extreme adventures. With a backdrop of mountains, rivers, and emerald green waves of the Pacific Ocean, Puerto Vallarta is the ideal location to take the TEFL Teacher Training Course. ICEP TEFL is also a member international organizations leading the field Teaching English and reputable business organizations which monitor and guarantee the quality of our services. ICEP TEFL Training has received 15 student reviews and has an overall rating of 4.93 out of 5 stars based on the following criteria. I took ICEP’s training course in September 2018. Overall, the course was excellent and I am so glad I chose it. The course’s instructor, Raul, is clearly passionate about the topic and his enthusiasm shows. Raul was always fun and engaging, and I left class every day feeling like I had learned something new. The stories Raul shared from his own teaching experience made everything we learned feel real and applicable. The teaching practices definitely required a lot of hard work. While it was challenging at first, by the end of the course my confidence in my teaching abilities had grown significantly. The feedback I received from the instructors who observed my teaching practices was extremely useful and helped me understand what my strengths were and where I needed to improve. The job search assistance I received at ICEP was invaluable. Alan really took the time to listen to my requests in terms of employment. He was able to help me secure a position before the course had even ended, and he assisted me with interviews, contracts, and pretty much every other step of the process. This course is intensive and requires a lot of hard work. However, in my experience this preparation paid off when I began training for my new job. I honestly could not imagine having started work without the preparation this course provided. I definitely recommend it for anyone who is serious about receiving their TEFL certification and teaching English abroad. Thanks so much to Alan, Raul, Jodi, and everyone at VIA who helped me become a teacher! I had decided to come to Puerto Vallarta for my TEFL certification because I was already familiar with the city and I am so glad that I did. Start to Finish, this is an A-1 organization. The director is a workaholic with a passion for the business and this community. Having been in a training capacity myself for several years, I will also say that the head instructor is top notch! His knowledge of the industry and past experiences teaching English around the world lent so much to the engagement of learning. I cannot imagine taking this certification online and missing out on the experience of viewing live training sessions with their teachers. This was invaluable to view prior to practice teaching at 3 different locations over several weeks. On top of that, with the help of the relationships the director has built, I secured employment immediately upon graduation. Anyone wanting to enroll in a TEFL certification course should strongly consider coming here to Puerto Vallarta. You will be in the best of hands with Alan, Raul, and staff. Thank you all for a great experience! I was very skeptic about moving to Mexico much less paying money to a school I wasn’t even sure existed. I remember calling them constantly to ask random questions to calm my paranoia lol. When I got there I was very impressed with their school set up and student apartments. I truly enjoyed the course and learnt so much. Lesson planning, classroom activities, classroom management and even how to come out of my shell. God knows that was my hardest part. But with a little tough love I was able to and it has made me the amazing teacher I am today. Not only did we learn about teaching English, but throughout the course I was shown time and time again how important the role of a teacher is and it made me feel even more fulfilled knowing I’m changing lives. I also enjoyed the teaching practice we had which changed each week allowing us variety in age group and level. I was given 3 interview options in the last week of the course and I accepted the Guadalajara post. Now that I’ve completed my contract, I made contact again for a new job in a new city and low and behold a few weeks later I had an interview which led me to my second job placement through this amazing TEFL program. Thanks again for everything! I have recently completed the 140 hours TEFL Course with ICEP TEFL Training in Puerto Vallarta, Mexico. This month long course opened my eyes to the methods of great teaching. The course is intensive but the support I received made it manageable. The teachers and the staff were highly competent and supportive and the program was rigorously planned and structured. Their feedback helped me to improve my teaching to a great extent. We were a small group of 10 and all got along well and have been a great support to each other. Puerto Vallarta is one of the best cities in Mexico and having the backdrop of a vibrant, energetic city with beaches on your doorstep while you study certainly means you always have something to look forward to after a hard day of teaching or working on a project or lesson plans. The course was challenging but extremely rewarding. I would highly recommend this course to anyone! 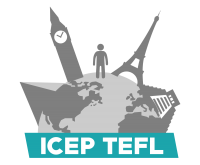 I did the ICEP TEFL in Puerto Vallarta in Mexico from February to March 2017 for one month. It was an excellent course and Raul our teacher was very good. I personally found him helpful with any questions that I had. The course was very varied. The staff overall were brilliant. Alan was excellent in helping us look for jobs and very prompt at responding to emails. The accommodation where we stayed at was great and very close to the school. An excellent idea was to have 2 Sundays where the staff would take us on a trip, a great way of getting to know each other. With that I start my first teaching role in Mexico next Monday. Thank you Alan, Nino and Raul for all your help. I have completed my course at ICEP TEFL Training. Please do not submit a review until you have completed all modules, tests, and other course components, or are no longer actively registered at ICEP TEFL Training. I have never been employed by ICEP TEFL Training. Current or former employees of ICEP TEFL Training, even if the employee was previously a student at ICEP TEFL Training, may not submit a review. Write at least a few sentences about your experience with ICEP TEFL Training. Reviews containing only generic comments will not be published. Please submit your review from your home, workplace, or other off-campus location. Reviews submitted from the campus of ICEP TEFL Training will not be approved.